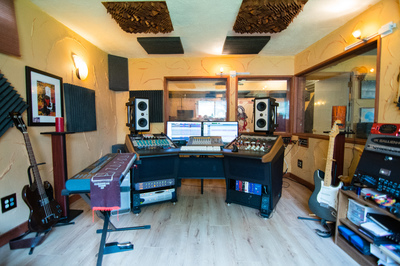 Aztec Productions A Full Production Recording, Mixing & Mastering Studio for Bands, TV, Films, etc. AZTEC PRODUCTIONS provides recording, mixing and mastering services. David Montesinos created Aztec Productions and developed it into a combination of great sound AND vibe. The goal is to make great sounding recordings at an affordable price. David is also a partner in True Music Promotions. We record live performances and provide professional live recordings. Naming other artists would only create a very long list. Most Rock, Blues, Funk, Hip/Hop, Rap, Metal, Reggae, Punk, Folk, , etc that has been around since the 60's has probably influenced us in some form.